Given a morning tide favouring a west-bound passage through the Sound of Mull, the initial idea was for an anti-clockwise circuit of Mull, perhaps visiting Staffa (Fingal’s Cave) and Iona. 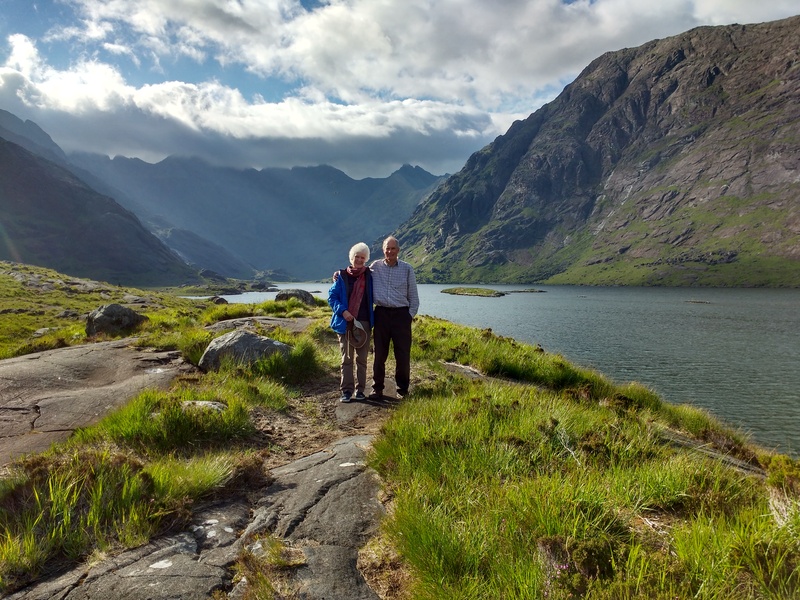 However a combination of benign weather and a wish to avoid tourist boats at peak holiday season prompted a more adventurous excursion to the Isle of Skye. Setting off under full sail in a F3 we quickly appreciated how dramatically RelaX’s pace (7-8 knots in 10 knots of true wind!) increases the apparent wind, so we put in the second reef which became the norm for much of the trip. First stop was Tobermory where, after a wait on a mooring buoy, we were pleased to get a pontoon berth next to some lucky Sea Cadets on two brand-new Rustler yachts sponsored by the EasyJet founder and City of London respectively. 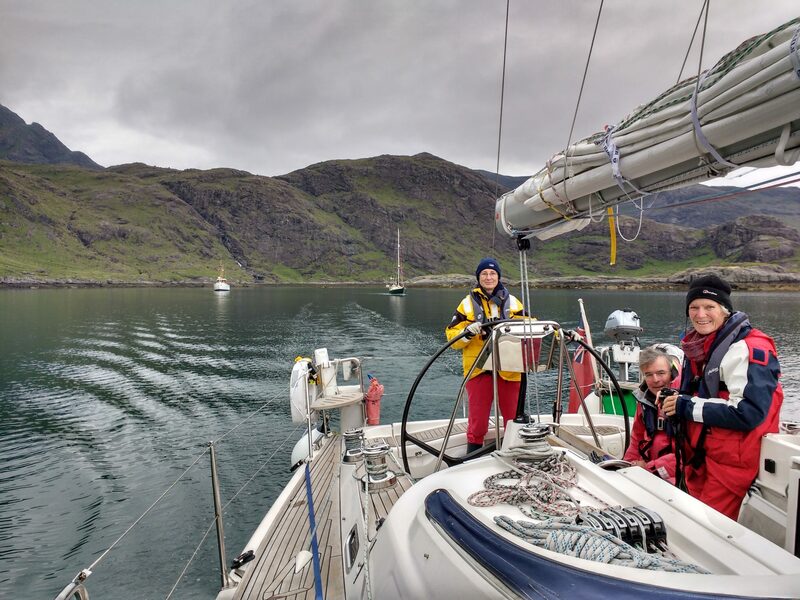 On Monday we set off past the infamous Ardnamurchan Point and the island of Muck where we had some wonderful sailing under full main before the wind died in the lee of Rhum. 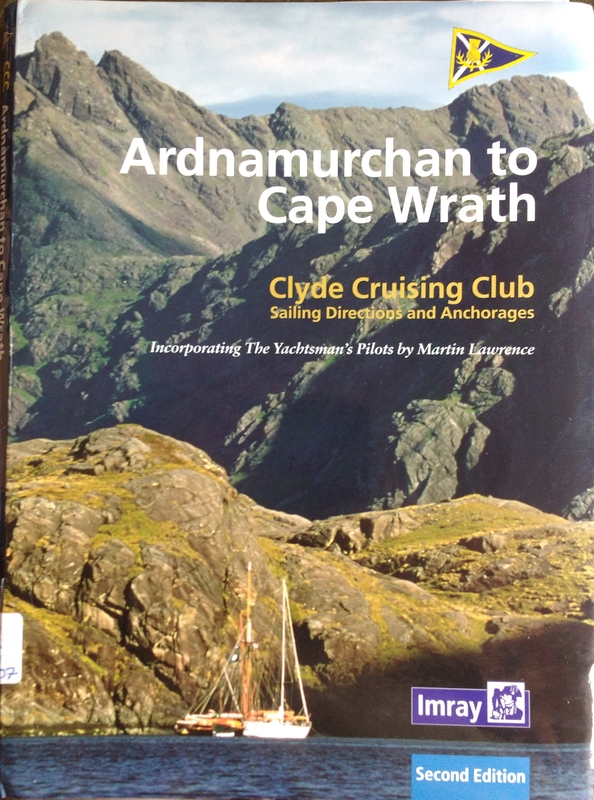 Approaching Skye via the island of Soay, we entered the dramatic anchorage in Loch Scavaig, as featured on the front cover of the Imray/CCC pilot which we’d borrowed for the trip. This required careful negotiation of some rocks and islets, but what would have been a stressful entrance in the past was made easier by the detailed pilotage notes informed by Bob Bradfield’s recent surveys captured in the Antares charts which we had on a tablet. 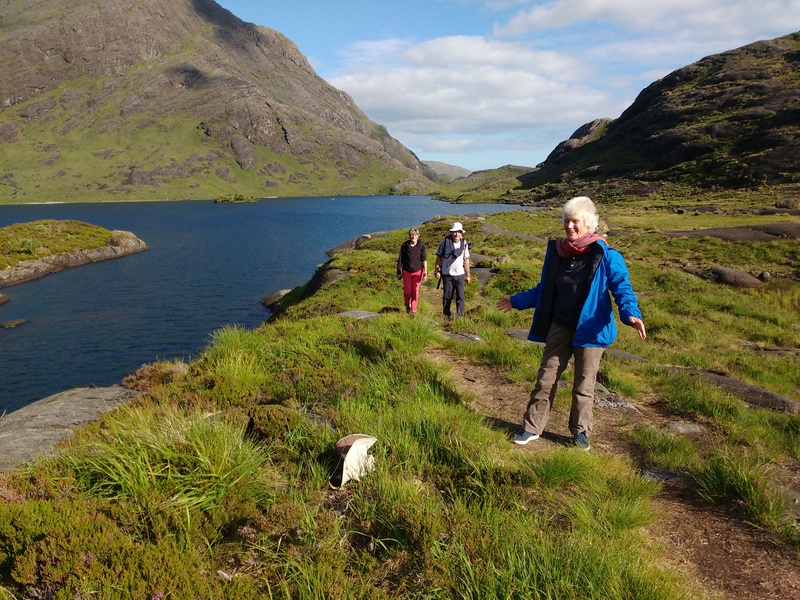 The excursion ashore and walk along Loch Coruisk above must count as the highlight of the week. 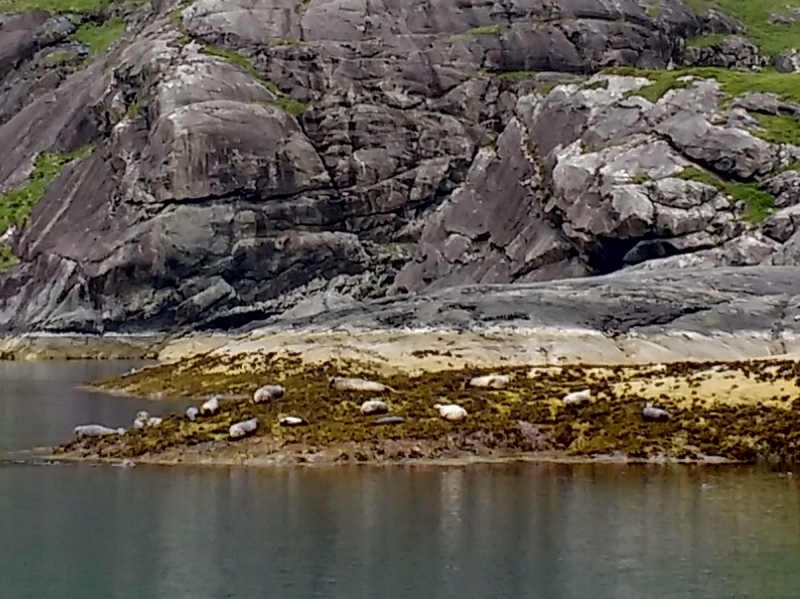 The following day we motored out past basking seals and their pups, before a long trek to round the Point of Sleat then north to Armadale where we picked up a mooring buoy. This was a pre-arranged stop for a lunch rendezvous at Armadale Castle with an old friend of Alice’s who’d spent years there as head gardener. In the early evening we walked a mile for showers in Skye Yacht’s scruffy boat-shed at Ardavasar, followed by an early meal at the hotel. After that we walked another 3 miles to enjoy a rather good concert and Ceilidh at the Gaelic Centre. With a bit more time the following day, in a N4 with double-reefed main, we practiced heaving to and man-over -board drill – quite tricky as RelaX tends to slip sideways. The Old Forge, Inverie – closed! 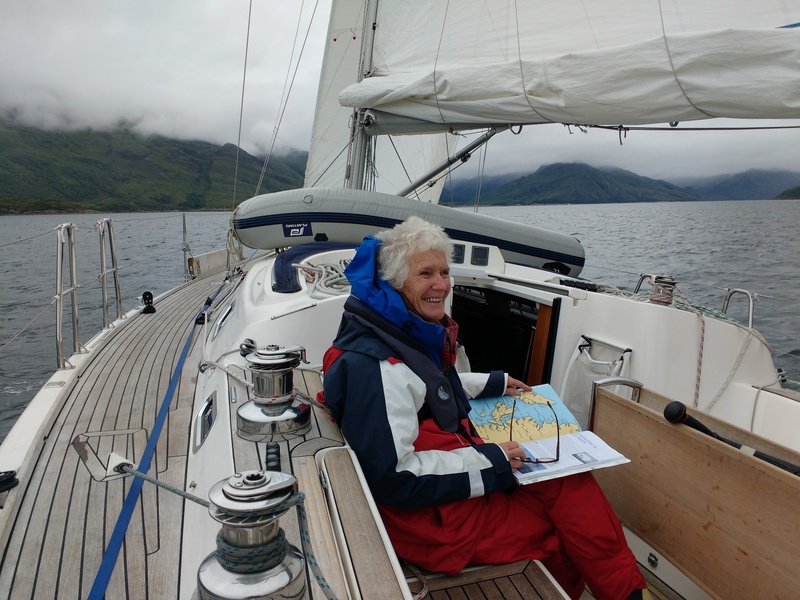 We continued further north to visit Isle Ornsay and then the lovely Loch Hourn, which we penetrated as far as the second narrows, returning for lunch at anchor just outside the first narrows – again carefully negotiated with the help of the CC pilot and Antares charts. In the afternoon we went south into Loch Nevis and picked up a buoy at Inverie, hoping for an evening meal at the Old Forge pub which claims to be the most isolated in the UK. 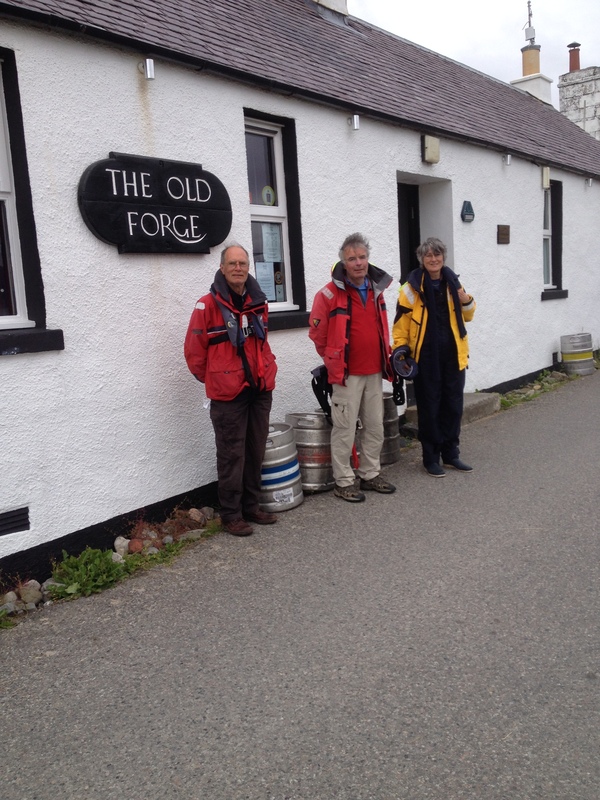 After Sarah had rowed the dinghy with determination against the offshore wind, we arrived ashore to find the pub* closed on a Wednesday – very disappointing! *actually the pub has had poor reviews since a recent change of ownership. 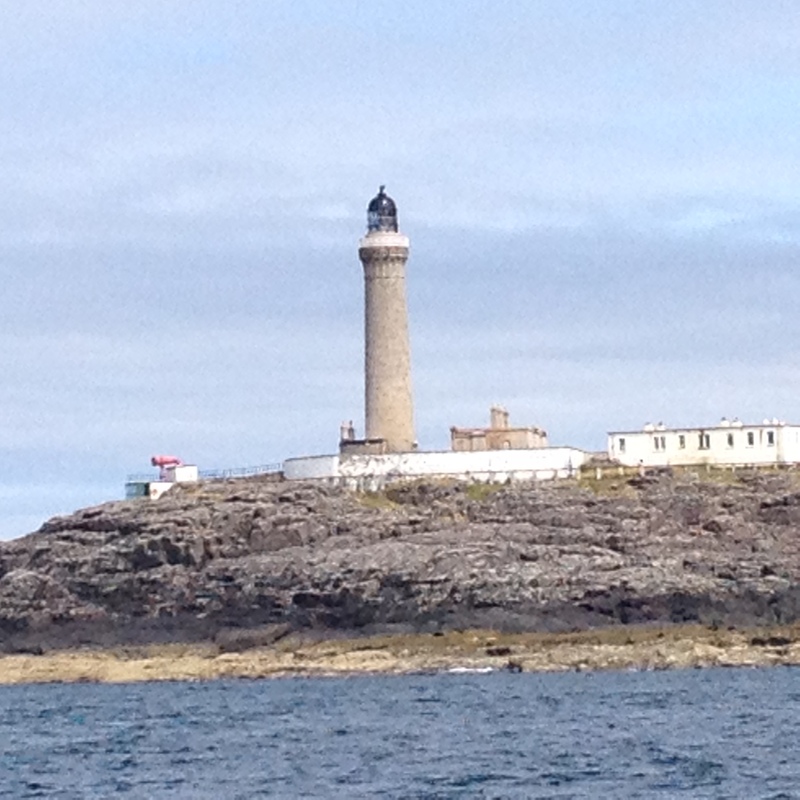 On Thursday we rounded Ardnamurchan Point again – preventer on with awkward wind on the tail – and went into Lock Sunart to spend the night on a pontoon at Salen. This is one of the few places where you can actually book a berth 24h in advance and, for a tiny hamlet, there’re making a big effort to attract visitors with nice facilities. Friday afternoon saw us back at Oban Transit Marina with time to do a few jobs on the boat before meeting some of the incoming crew the following day – Andy & Kiki, Jonathan & Lorna and Diana. We had a good meal at the Waterfront Fishouse restaurant which is equally good but cheaper than the well-known EE-USK on the North Pier. It was a week of (for Scotland) amazing weather, though we wore oilies on every day except the last owing to the chilly N/NW winds. Lots of bird-life, and we were accompanied by dolphins on several occasions. Crew: John & Alice Halliday, David & Sarah Edwards.